Our technology solutions are transforming the way IT companies break into the government market. CircleCI is a cloud-based Continuous Integration and Delivery (CI/CD) platform that transforms how government agency teams build and deliver great software applications at the speed of business. Clarabridge is a recognized leader in AI-driven big data text analytics, empowering government agencies to focus on providing improved customer experiences through social media engagement analysis, customer experience analytics, and natural language processing. 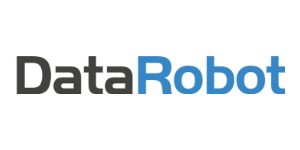 DataRobot is the world’s most advanced machine learning automation platform that enable best practices for machine learning processes from data ingestion to deployment, reducing time to value when creating AI and machine learning algorithms. EDB provides PostgreSQL software enhancements for enterprise-class performance, security, and manage ability and develops tools for Postgres database monitoring, tuning, high availability, and replication. EPAY is a leading FedRamp SaaS provider of integrated human capital management technology with a strong focus on time and labor management of complex workforces built for the government. FactGem provides a Data Fabric that combines data from platforms and applications separated by purpose, geography or organization into a unified data environment. Figure Eight is the essential human-in-the-loop AI platform for data science teams, helping government customers generate high-quality customized training data for their machine learning and artificial intelligence initiatives. Forcepoint offers a systems-oriented approach to insider threat detection and analytics, cloud-based user and application protection, next-generation network protection, data security and systems visibility. Guidance solutions let you readily establish visibility to every network endpoint allowing intelligence to fuel effective security, risk and compliance, legal and internal investigations. Ion Channel is a software supply-chain risk-management platform developed for government CISO’s and engineering teams to secure enterprise development and operations by automating governance as software and automate actions based on live data. OpenGov’s mission is to power a more effective government through an easy-to-use, SaaS solution built specifically for government, enabling budget and planning creation, cross government collaboration and citizen feedback and engagement in a single platform. Samanage delivers a cloud-based service management platform that helps organizations unlock the true potential of their employees by redefining service experiences - when, where and how they work. StreamSets has built a complete DataOps platform, enabling agencies to make data movement across data platforms easier. Sumo Logic is a cloud-native, machine data analytics platform for log management and metrics monitoring used by IT, security and development teams across all enterprise sizes. 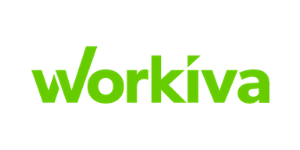 Workiva developed Wdesk, an intuitive, FedRAMP Authorized cloud platform that modernizes reporting and compliance processes.